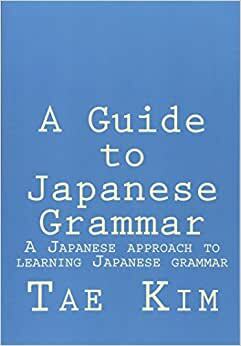 One of my pet peeves is when somebody says the phrase “learn Kanji” such as, “I learned 100 Kanji in one week!” Kanji has way too many parts to simply say that you “learned” it. Saying you learned Kanji is like saying “I learned computer!” or “I learned a car!” What does that even mean? Let’s break down the concrete things you can learn with Kanji. Now, let’s see how useful all these possibilities are for learning Japanese. Learning the meaning of a Kanji is great if it’s a word by itself. For example, 「力」 is also a word meaning “strength” so the meaning directly translates into a word you can actually use. However, you can also argue that since 「力」 is also a word, you are essentially saying that you learned the meaning of a word. So in the end, this is really the same as learning words and doesn’t really count as “learning Kanji”. Having said that, knowing the meaning of a Kanji is certainly very useful for simpler words and concepts. Memorizing the meaning for Kanji such as 「続」 or 「連」 will definitely help you remember words such as 接続、連続、and 連中. In conclusion, there’s nothing wrong with learning the meaning of a Kanji and something I would recommend. To put it bluntly, learning all the readings of a Kanji is a complete waste of time. Yes, as a general rule of thumb, Kanji compounds use the on-reading while single characters use the kun-reading. However, this rule is nowhere consistent enough to make it more than a good guess (this is particularly true for 大 which we can’t seem to decide to read as おお or だい). In addition, many Kanji have multiple readings kun or on-readings such as 怪力(かいりき or かいりょく? ), 外道(げどう or がいどう? ), or 家路(いえじ、うちじ、やじ?). Even if you guessed the correct reading, it might be voiced or shortened such as 活発 and 発展. Also, Kanji such as 生 have so many readings, it’s completely pointless to memorize them because you won’t know which one will be used in a word such as 芝生、生ビール、生粋、and 生涯. Not to mention the various words that only use the Kanji for the meaning while completely ignoring the reading. These words such as 仲人、素人、and お土産 are literally impossible to guess the readings for. At the end of the day, if you see a new word, you always want to look up the reading to make sure you learn the correct combination. In addition, the readings will be easier to remember in context of real words that you can actually use. Essentially, memorizing the readings by themselves is a complete waste of time. I’m not going to go into all the reasons why memorizing the correct stroke order is important. Without going into detail, of course you want to make sure to remember the correct stroke order. However, you’ll find that once you’ve mastered the basics and all the radicals, stroke order for most Kanji are consistent and easy enough that you no longer need to look it up. Every once in a while, you’ll run into odd Kanji such as 飛 or 鬱 where you’ll want to check the stroke order. So yes, definitely look up the stroke order and make sure you’re not developing any bad habits until… you don’t need to look them up anymore. That happens sooner that you might think. This is going to be a controversial stance but nowadays, technology has progressed to the point where we never really have to write anything by hand anymore. Yes, it’s embarrassing if you’re fluent in a language but can’t write it by hand. This is an issue even for Japanese people. By “writing Kanji”, I don’t mean just 2,000+ characters based on keywords. Unless you know which combination of Kanji to use for any given word with the correct okurigana, that is a useless parlor trick. Being able to write any word in Kanji is an extremely time-consuming goal that may not have much practical value. If your daily life requires writing a lot by hand such as teaching Japanese, I feel that necessity and practice would naturally lend to better writing ability. In other words, if you don’t need it, it’s extremely difficult to keep up your memory of how to write Kanji by hand. However, that is not to say you should never bother practicing writing in general. For beginners, it’s highly recommended to practice writing in general (especially kana!) in order to help develop muscle memory for stroke order as well as getting a sense of proper character balance. Conclusion – Learn words with Kanji! I hate the phrase “learn Kanji” because almost every time someone says that, they don’t realize that they haven’t really learned anything that’s directly applicable to Japanese. Compare “learning Kanji” to learning a word. In order to learn a word, you obviously need to learn the definition, reading, Kanji, and any Okurigana if applicable. There is no question of what you learned and whether it’s useful for Japanese. And yet the idea of learning 2,000 Kanji is so attractive that we can’t seem to get away from that broadly undefined notion. I don’t consider a Kanji as being learned until I know the most common words using that Kanji with the correct readings and can write those words randomly months after I initially memorized it. Unfortunately, given that standard, I probably know about 100-200 Kanji but hey, we all need goals, right? Whatever cool method to “memorize Kanji” someone tries to peddle you, at the end of the day, you still have to do lots of reading and memorizing tons of vocabulary. This involves daily struggles starting with remembering that 「き」 in 「好き」 is okurigana and continuing with which Kanji to use for 真剣 vs 試験 vs 検査 vs 険しい, or constantly forgetting which kanji is for net vs rope （網／綱）. You may be thinking, “Wow, 2,000 is a lot!” But don’t worry, it pales in comparison to the tens of thousands of words that an adult has memorized in her lifetime. And believe it or not, having a fixed set of characters with mnemonics and compounds actually helps with the much bigger job of learning vocabulary. Once you’ve learned a new word in seconds based on characters you already know, you’ll know what I mean. Trust me. Many of the simpler and common characters such as 口 are also radicals that are used as parts of more complicated characters. Obviously you want to learn those as words by themselves. However, there are some radicals that are not characters on their own, for example, 儿 or 辶.
Memorizing them if it helps is fine, especially those that are conceptually easy to visualize such as 儿 for “legs”. In particular, you should learn to recognize when they are derivatives of actual Kanji such as 亻 from 人 and 忄 from 心. A common example is to remember the person radical 亻 next to a temple 寺 as meaning “samurai” （侍）. Learning the radical meaning will really help differentiate from other similar Kanji with different radicals eg 「時持詩待特」. However, I personally can never remember some of the more abstract ones such as 攵 so while useful, I wouldn’t go full speed and memorize every single radical in existence. Again, learning in context and with actual words is your best bet. What’s the best way to learn Japanese? Q: What’s the best way to learn Japanese? Q: What’s the best way to learn Kanji? A: The question is vague. Q: How long until I can become fluent? A: What does “fluent” mean? Also, it depends. I get very short emails of this kind all the time and I usually don’t respond (sorry if this was you). But really, 99% of these generic, vague questions I can answer: “It depends”. Learning a language is a big job. You’ve been practicing and learning for pretty much your entire life starting with your parents, to school, and all the way up to adulthood and beyond. Don’t believe the stupid “fluent in 3 months!” marketing lies of various paid products (who does really?) and be prepared for a long term significant time commitment. There are countless strategies for maintaining dedication and achieving goals, which I’m not going to get into because different approaches work better for different people. What I can say definitely based on basic memorization principles is that it’s far better to spend a little time regularly rather than a large chunk with big gaps of neglect. The best way to achieve this is to integrate Japanese into your daily schedule. 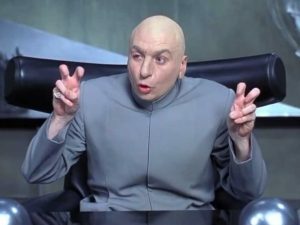 Personally, I did a lot of studying back in the old days when I had literally nothing better to do (no TV or internet). Nowadays, with smartphones, there’s obviously a lot more distractions to deal with. Depending on your schedule, try to find a regular time that you can dedicate such as your commute or scheduling conversation practice once a week. It would be even more ideal if you can take one of your existing hobbies or interest and apply Japanese to it. The obvious example would be switching media such as music, movies, TV, books, and games to Japanese, perhaps with subtitles. Even if you spend an hour or so browsing on the internet or social media, consider watching Japanese Youtube videos or joining some Japanese Facebook group for example. Of course, language is a tool for communication so you also want to make sure you’re not holed up by yourself and that you get out and socialize (more on this later). Ultimately, it’s very important that your “study” is enjoyable and provides some degree of satisfaction and positive feedback in order to prevent burn out and giving up. Assuming you are able to devote some amount of time on a regular basis, there’s still the issue that you have a lot of catching up to do compared to a native adult who has a head start of 2+ decades of education and immersion. So it’s time to set some priorities and have realistic expectations. Even if you don’t set priorities, they will get set whether you like it or not. Of course like you (I hope), I strive to be natively proficient at everything but frankly, my writing skills can use work, a LOT of work. That’s because instead of writing in Japanese, I’m spending my time writing this blog post in English and mostly reading. Even though I can naively wish my writing would magically improve, it won’t happen unless I work on it (I’m not). So if you need Japanese for your work, have family, interested in anime or whatever, you can easily break it down into one of four skills: listening, speaking, reading, writing. Once you have your priorities, you need to work on improving those skills by actually DOING IT. However, when it comes to output skills, you need input otherwise you’re just making up random nonsense. So if you want to work on speaking, start by listening, reading before writing (about 2-4 times more input over output). Finally, even if you triage (which will happen regardless), you should still work on the other areas. Our brains are a complex neural network and stimulating different parts of it helps retention. So if you spend all your time buried in a book, get out and talk to some people. If you’re just winging it in Japan, go home and do some reading. Having a visual image of an object for example, a “vending machine” with the Kanji 自動販売機 “self moving sell machine” after hearing the word in conversations is the best way to cement it in long-term memory. Take these stereotypical examples and it’s easy to see where the problems lie because priorities were not in line with desired result. Spends several hours watching Youtube on the weekend. Didn’t actually spend time outside classroom speaking to people. Always speaks in English with significant other. Has some excuse for not studying or reading. English subtitles always on. Doesn’t spend time looking up the words. Doesn’t read manga or light novel with a dictionary. Always uses an electronic device to type. Rarely writes by hand. Writes English blog post about learning priorities (yeah you know who you are). Didn’t read my book (shameless plug). This post is about how you shouldn’t be reading this post. Lately, I’ve been wrestling with how much English vs Japanese to use in my guide. The more Japanese there is to read, the better. However, if there’s too much, it will be too difficult and overwhelming, which would be counter-productive. If your Japanese study material consists of mostly reading in your native language, you might want to try something that has more Japanese text. This post is in English as well, so really, you probably should stop reading and spend your time on something more productive. When I first started writing the grammar guide, I wanted to cover every possible topic. Today however, my goal is to kick you out of the bird’s nest so to speak but perhaps a bit more gently than a sink-or-swim approach. I certainly DO NOT expect visitors to be reading about every nuance in grammar or vocabulary in English, especially those who have already mastered the basics. My primary goal is to cover the core concepts and illustrate how to teach yourself and maybe even have some fun in the process. Teach a man to fish and all that jazz. 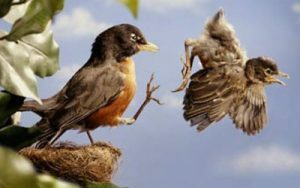 So, if you understand all the particles, sentence structure, and how to use dictionaries to learn new vocabulary, maybe it’s time to consider trying to fly out of the nest. Take your time though, I won’t kick you out!